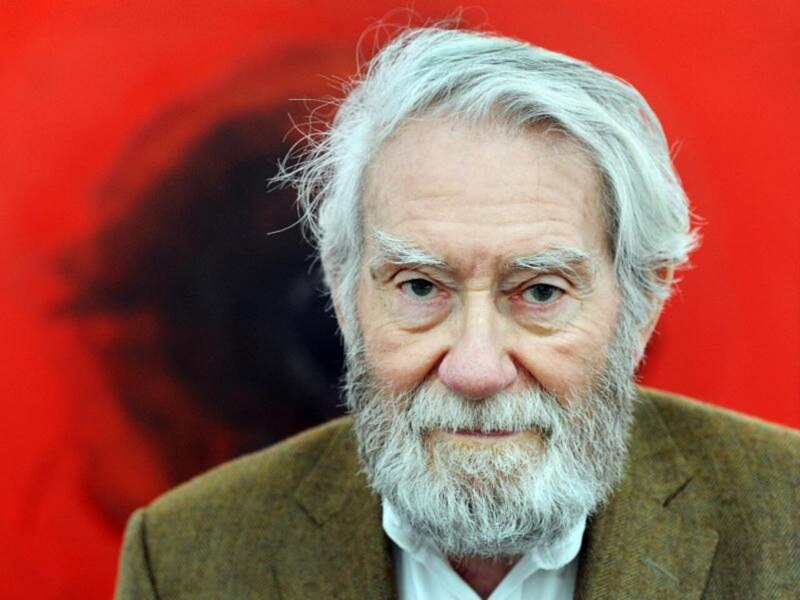 dpa/Uli DeckDer ZERO-Künstler Otto Piene starb im Juli 2014 mit 86 Jahren. Erstmals zeigt ein Museum in der iranischen Hauptstadt Teheran eine Einzelausstellung mit Werken des ZERO-Künstlers Otto Piene. Nach Heinz Mack im Jahr 2001 und Günther Uecker im Jahr 2012 sei Piene der dritte ZERO-Künstler, dessen Werk im Iran präsentiert werde, teilte die Düsseldorfer Galerie Breckner am Mittwoch mit. Die Ausstellung „Rainbow“ mit etwa 90 Werken soll am 24. Februar eröffnet werden und bis zum 25. Mai laufen. Schauplatz werde das 1977 eröffnete Museum of Contemporary Art in Teheran sein. Kurator sei der stellvertretende Direktor der Nationalgalerie Berlin, Joachim Jäger. Piene war im Juli 2014 im Alter von 86 Jahren gestorben, er hatte die Ausstellung im Iran aber noch selbst mitkonzipiert. Travel for Iranians is hard, which is why the young have found hosting foreigners is a way to explore the world vicariously. The latest twist to the private breaking of Iran’s myriad restrictions. TEHRAN — Looking around you see heavy doses of makeup and carefully coiffed hair, jeans and some mini skirts that really are too short. Western music is played almost exclusively on the high-tech sound system, and the pictures on the wall would almost certainly not meet the approval of the morality police. Home-brewed booze with a very high alcohol content — an anise schnapps — is being served liberally. Men and women socialize freely, and some flirt shamelessly. All of this is nothing terribly exceptional for a party, except that it’s not happening in the West and is instead being hosted by two friends, Yara and Leyan*, in Tehran. Right in the capital of the Islamic Republic of Iran, where such things are not only forbidden but are demonized and punishable by law. And yet it’s happening. Privately. Even tourists can experience this secret Mideast world, via Couchsurfing. Couchsurfing is a social network that connects people from all over the world, allowing guests to find hosts willing to offer free places to sleep in private homes. It allows a much more intimate experience for travelers and hosts, crossing geographic and social boundaries that more conventional tourists would be less likely to experience. The practice is legal in Iran, if not some of the activity that goes behind the privacy of four walls. The government isn’t enthusiastic about it, but it doesn’t forbid it. Which is why the Couchsurfing Internet page for Iran can be used without a filter. Just how many Iranians participate isn’t clear. Contacts usually happen through Facebook. That social network is officially forbidden, but there are enough apps available to easily circumvent the ban. President Hassan Rouhani, in power since 2013, has tweeted that it’s clear the Iranian authorities are less radical than they were during the days of Rouhani’s predecessor, avowed hardliner Mahmoud Ahmadinejad. But Iran remains a difficult destination, a country with an extremely bad reputation because of its morality police and other watchdogs, not to mention its arbitrary justice system, its nuclear ambitions, its liberally applied death penalty and hostility toward Israel. Anybody who travels there should be absolutely clear that in so doing they are supporting the regime of themullahs. But Couchsurfing nevertheless offers rich opportunities for discovering Iran and the daily life of Iranians. And it’s obviously an inexpensive way to travel. But those choosing this travel strategy should be prepared to improvise at all times. The first Facebook contact with Omidin Tehran comes to mind, in fact. Omid enjoys guiding Western Couchsurfers through his hometown. But shortly before my arrival, Omid wrote via Facebook that he couldn’t make it, that something had come up. So he promised to send two girlfriends, who turn out to be Yara and Leyan, hostesses of the party described above, and where the first Couchsurfing night is reserved. Both the women are wearing headscarves, as is compulsory, but not the way you would think Iranians would wear them. Their hair is visible, and the women wear the scarves more like a stylish accessory that casually covers the back of their heads. Not everyone approves of this, and the morality police frequently stop passersby and check their identity when they believe civilians aren’t dressed with the requisite modesty. They also live the way they want at home. They host private parties to which Couchsurfers are cordially invited and that offer insight into what lies behind the country’s religious facade. Wien (OTS) – Das Bündnis STOP THE BOMB kritisiert den Besuch einer hochrangigen österreichischen Hochschul-Delegation beim iranischen Regime. Die Delegation, zu der u.a. der Geschäftsführer des OeAD, Hubert Dürrstein, und der Vize-Rektor der Montan-Universität Leoben, Peter Moser, gehörten, besuchte am Montag die Sharif Universität für Technologie, die von der EU wegen ihrer Rolle beim iranischen Atomwaffenprogramm sanktioniert ist. Medienberichten zufolge sollen Kooperationen mit österreichischen Universitäten geplant worden sein. Die Stadt der Liebe und des Weins hat mich gleich an Las Vegas erinnert – sie ist zumindest eine dezente iranische Variante davon. Bunte Lichterketten sind über die Straße gespannt, Graffitis zieren Hauswände und Mauern, um zehn Uhr abends ist der Nachtmarkt so voll wie eine deutsche Fußgängerzone am Samstagnachmittag. Zwischen die schwarz verschleierten Gestalten schieben sich Pärchen, die zaghaft Händchen halten. Junge Männer ziehen Boxen auf Rädern hinter sich her, aus denen laute Musik plärrt. Es wird gelacht, gefeixt, gegrüßt. Jetzt sitze ich auf der Freitreppe vor dem Grabmal des berühmtesten aller persischen Dichter. Hafiz ist der Goethe des Iran – er liebte Wein, Weib und Gesang und wird von jedem verehrt. „Wie du zu lieben und zu trinken, das soll mein Stolz, mein Leben sein“, hat Goethe über seinen Freund im Geiste geschrieben. Sein Grab ist die beliebteste Sehenswürdigkeit des Landes, Paare verbringen seinetwegen ihre Flitterwochen in Shiraz. Die Kopftücher sollen hier lockerer sitzen, Verliebte wurden schon turtelnd gesehen. Vor dem Eingang hat mir ein Mann so etwas wie eine iranische Glückskeksvariante in die Hand gedrückt: „Genieße die Welt“, steht auf der Karte. Entsprechend gespannt beobachte ich jetzt die Leute. Junge Frauen tragen noch das Pflaster von der letzten Schönheits-OP auf der Nase, Kinder juchzen vor Freude als ihre Eltern sie von der Rutschpartie auf der Balustrade auffangen, ein Mullah und ein Soldat schlendern einträchtig plaudernd zum Park. The most interesting Iranian person in the world right now isn’t sitting in Vienna to talk about the nuclear agreement, and isn’t dishing out quirky or alarming quotes from Tehran. He is probably on a plane, flying to and from Beirut, Damascus, Baghdad etc…helping to increase Tehran’s military and political influence. Meet Qassam Suleimani, commander of the IRGC’s „external“ operations units, better known as the Qods Force. A former CIA chief, John Maguire calls him, „the single most powerful operative in the Middle East today„. Or you can call him by his nickname: Keiser Soze. On the outside, he leads a „regular life“. He is 57 years old. He wakes up every day at 4:00 and goes to sleep early at 21:30. He has five children. He takes his wife on some of his many „business“ trips. He suffers from back aches. He never raises his voice (in fact he is silent most of the time) but is gifted with an „understated charisma that makes people pay attention to him. In Syria, Suleimani has worked as the liaison between the leaders in Tehran, the Hezbollah chiefs and Bashar al-Assad for the past 3 years. He has built up Assad’s army from the inside after once exclaiming „The Syrian army is useless! Give me one brigade of the Basij, and I would conquer the whole country“. He works in Damascus from a fortified nondescript building together with a large array of officers: Syrian military commanders, a Hezbollah commander, a coordinator of Iraqi Shiite militias and a close comrade of his, the Basij former deputy commander Brigadier General Hossein Hamedani. Once Suleimani got settled in, an immediate sharp increase in Iranian supply flights into the Damascus airport carrying weapons and ammunition was noticed. Thousands of Quds operatives suddenly turned up within the Syrian army and in Assad’s special security service. But, as the ISIS crisis got into Iraq, Suleimani flew out repeatedly to Baghdad. The Guardian says – „Experts agree that it is hard to overestimate Suleimani’s role in Iraq. „At times of crisis Suleimani is the supreme puppeteer…He is everywhere and he’s nowhere. Suleimani is doing in Baghdad what he did in Damascus“ – this time with Maliki instead of Assad. Under his guidance, Tehran began by supplying Maliki with weapons and militia men as well as flying out drones and jet fighters into Iraq. Judging from Suleimani’s experience in Damascus, one can only expect Suleiman to set up a similar force in Baghdad as well. In any case, it would be worthwhile to keep an eye out on him at all times…trouble is never far away from him. An official ban and a defeat by Argentina in the final moments didn’t stop Iranians from celebrating. Iran may have lost to Argentina thanks to a Lionel Messi strike in the dying seconds of their World Cup match on Saturday, but that didn’t stop the Tehran street party that rattled the authorities. Large numbers of Iranians converged on the streets, dancing on overpasses, overrunning major thoroughfares, chanting and blaring music out of cars, in an outpouring of popular celebration that prompted the authorities to send plainclothes security agents on motorbikes through the crowds to disperse them. Riot police had locked down thoroughfares like Tehran’s busy Parkway intersection, but young people flooded into side streets to carry on their festivities, buoyed by the Iranian national soccer team’s strong showing against top-ranked Argentina. Most neutral commentators concurred that the Iranian team had mounted a superb effort and had been unlucky to be denied at least a draw against the two-time World Cup champions. “This dignified loss means more to us than any win,” said one young man dancing with his friends on the street. It’s precisely that prospect of hopefulness, though, that some say led the Iranian regime to deliberately stanch public excitement in advance of the World Cup. Security authorities took the unprecedented step of banning the broadcast of matches in public cinemas and cafés, effectively barring Iranians from experiencing the matches as collective events. In 2010 authorities had allowed crowds of men and women to watch the World Cup in cinemas across the country, just months after the country’s Green movement uprising. At that delicate time, some Iranian players wore green armbands on the field to show solidarity with protesters, and young people chanted political slogans in those packed cinemas in support of jailed opposition leaders. Geheimdienst gegen Regimekritiker: Im Film «Manuscripts Don’t Burn» von Mohammad Rasoulof gehts ums schäbige Geschäft des Mordens. Bevor der iranische Filmemacher Mohammad Rasoulof im vergangenen September vom Hamburger Filmfest nach Teheran zurückflog, verabschiedete er sich mit den Worten: «Zurück kann man immer. Es ist nur die Frage, was dann passiert.» Wenige Tage später wurden Rasoulof in Teheran Pass und Laptop abgenommen. Der Regisseur kann den Iran derzeit nicht verlassen. Auslöser dieser Repressalien war wohl Rasoulofs verdeckt gedrehter Spielfilm «Manuscripts Don’t Burn», der am letztjährigen Filmfestival in Cannes ausgezeichnet worden war und jetzt in den Schweizer Kinos anläuft. Iranische Geheimpolizisten erscheinen darin als mörderische Vollzugsgehilfen eines unmenschlichen Unterdrückungsapparates. Laut Rasoulof basiert der Film auf wahren Begebenheiten. Dutzende Oppositionelle, darunter viele Künstler und Kulturschaffende, wurden in den 1990er-Jahren von Agenten des iranischen Geheimdienstes Vevak ermordet. Diese «Kettenmorde» wurden als Unfälle, Gewaltverbrechen oder natürliche Tode kaschiert und bis heute nur unzureichend aufgeklärt. In einem umstrittenen Prozess wurden 2001 mehrere Mitarbeiter des Nachrichtendienstes wegen Mordes verurteilt. Ihr vermeintlicher Drahtzieher, der stellvertretende Informationsminister Said Emami, soll im Gefängnis Selbstmord verübt haben. In «Manuscripts Don’t Burn» arbeitet Rasoulof diese Vorfälle nicht unmittelbar auf, die Bezüge zur Realität aber sind deutlich. Zwei Geheimdienstler verfolgen die Spuren eines verbotenen Manuskripts, das den gescheiterten Mordanschlag auf 21 regimekritische Schriftsteller und Journalisten rekonstruiert, die 1995 bei einem «Busunglück» getötet werden sollten. Einer der Vevak-Schergen sass damals hinter dem Steuer des Busses. Dass Rasoulof dem um seinen kranken Sohn besorgten Familienvater sympathische Züge abgewinnt, steigert die Brisanz seines Filmes noch. Es geht dem 41-jährigen Regisseur nicht darum, einzelne Menschen abzuurteilen, sondern verborgene Strukturen aufzudecken. Iran beschlagnahmt mehr Drogen als alle Länder in der Region zusammen. Teheran/Wien. Der Ausgangsbereich des Basars in Teheran ist an diesem Nachmittag wieder vollgestopft – mit Taxis, Straßenhändlern, die ihre heißen roten Rüben eifrig anbieten, und mit Taschendieben. „Hey, da drüben, schaut, die nehmen dem alten Mann seine Aktentasche weg. Haltet sie!“, schreit einer der Händler. Doch es ist vertane Mühe. Die Diebe sind längst über alle Berge. Meist benutzen sie ein Messer und schlitzen die Taschen ihrer Opfer innerhalb von Sekunden auf, nehmen alles mit, und ehe man sich versieht, brausen sie und ihre Komplizen auf Mopeds auch schon davon. Manchmal nehmen sie gleich die ganze Tasche mit. So ist es keine Seltenheit, dass man am Ausgang des Zentrums orientalischer Handelskunst ungewollter Zeuge von Szenen wird, die eher an einen schlechten Hollywoodfilm erinnern. „Ja, steigen Sie ein, ich nehme Sie mit, ich muss eh in den Norden der Stadt. Wenn Sie lange hier stehen bleiben, werden Sie auch ausgeraubt.“ Hossein dämpft seine Zigarette aus. Auf den ersten Blick ist der 28-jährige Bäcker und Konditor, der sich nachmittags sein Taschengeld als freiberuflicher Taxifahrer verdient, nicht von seinen Altersgenossen zu unterscheiden. Doch auf den zweiten Blick sieht man, dass seine Augen glasig sind und seine Hände zittern. „Man muss das Problem an der Wurzel packen. Warum gehen diese Menschen auf Raubzug? In welchen Kreisen verbringen sie ihren Alltag? Sie haben nichts zum Leben und da wissen sie sich nicht anders zu helfen, als zu stehlen und zu plündern. Wenn man einmal drin ist in dem Dilemma, gibt es kein Entrinnen mehr. Dazu noch das verfluchte Zeug. Ich will seit zehn Monaten damit aufhören, aber ich schaffe es nicht. Die verdammten Drogen machen uns junge Menschen in Teheran kaputt. Verstehen Sie? Kaputt! Ich hasse Opium, aber ich bin verloren. Ich habe nicht die Standfestigkeit, dem Zeug zu entrinnen. Dann denke ich mir wieder, was gibt es schon zu verlieren, das Leben hier bietet einem eh so wenig Genüsse und Freude, und schon bin ich wieder mitten im Delirium“, seufzt er. Schnell fasst er sich wieder und wir fahren los. Die kryptische Stille wird schnell beendet. Hossein legt Musik des im Exil lebenden persischen Sängers Shadmehr Aghili auf. „Das ist Lebenselixier. Shadmehrs Musik beruhigt mich morgens, wenn ich in die Konditorei fahre, und abends als Taxifahrer. Sogar Shadmehr, der jetzt in Los Angeles lebt, kann nicht ohne Koks leben“, erklärt Hossein traurig. Zweimal war Hossein schon auf Entzug und musste seinen Job wechseln. Doch wirklich losgekommen ist er vom Opium nie.